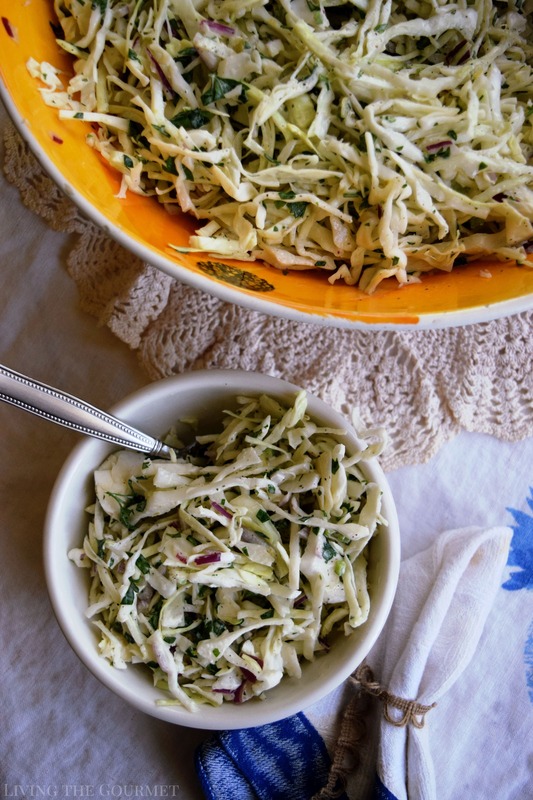 This dressed up Coleslaw is a nod to the classic cabbage salad we grew up loving and perfect for all those warm weather cookouts and picnics. 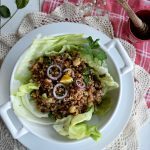 It’s easy to prepare and perfect to make ahead! Yet, as in most things, life provides us with equalizers. Even in the hands of cooking royalty knives become dirty, and require cleaning. Most of us probably are already familiar with ‘sink grates’ that provide a wire meshing in which to place one’s plates so as to avoid breaking them. However, what about one’s knives? For most, myself included, the knives ‘pile up’ either on the side of the counter amidst the dirty pans, or at the bottom of the sink. This causes a couple of problems. First, leaving the knives ‘loose’ like that can dull or even damage the blade. This is particularly true for ceramic knives where the blade, though sharp and resistant to normal use, is quite prone to chipping. The second big problem is injury. I mean, what could possibly go wrong when leaving sharp objects drifting about at the bottom of a sink where you’re placing your hands? Yes, I’ve cut myself like this on at least two occasions that I can remember. Not a frequent occurrence by any stretch given my time in the kitchen, but just ‘frequent enough’ to warrant at least a thought in that general direction. Naturally, this brings us to today’s product – Sink Safe. 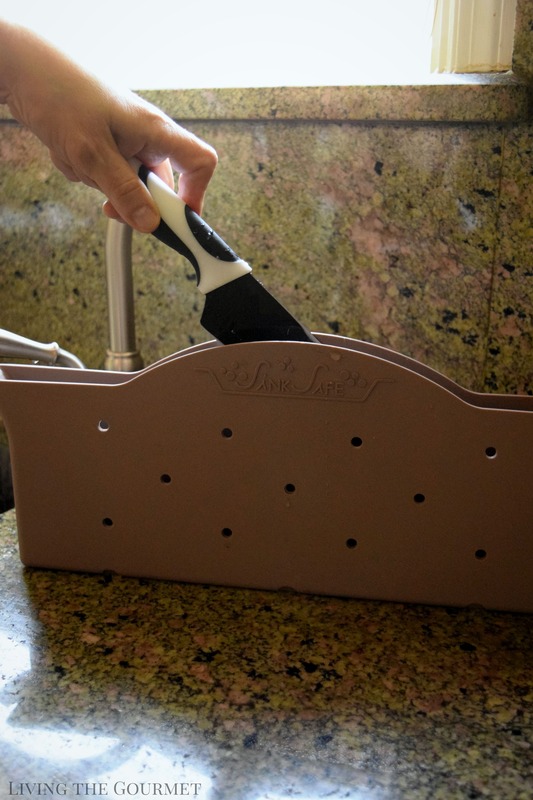 Sink Safe is, in essence, a durable, water and soap proof ‘pouch’ for storing your dirty knives during cleaning, safe from being dulled or chipped by your pots, pans, and dishes, and safely away from your exposed hands. Really, it’s one of those “Why didn’t this already exist?” products that just ‘makes sense.’ To start, it couldn’t be easier to use, once you’re done with your knife, just toss it into the Sink Safe the same way you would toss it into your sink or, if you’re like me, into the pots and pans you had been cooking with. From there, they are themselves protected – and so are your hands. 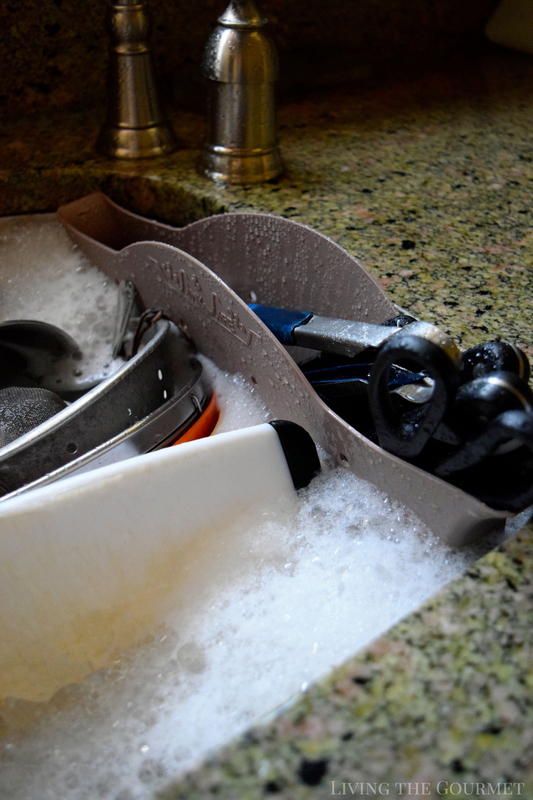 Once it’s time to clean them, there’s no fishing around the sink for knives, simply remove them from the Sink Safe and either pop them into the dishwasher or set about the dirty work yourself. Personally, I hand clean my knives to protect their edges – but that’s entirely a matter of preference. 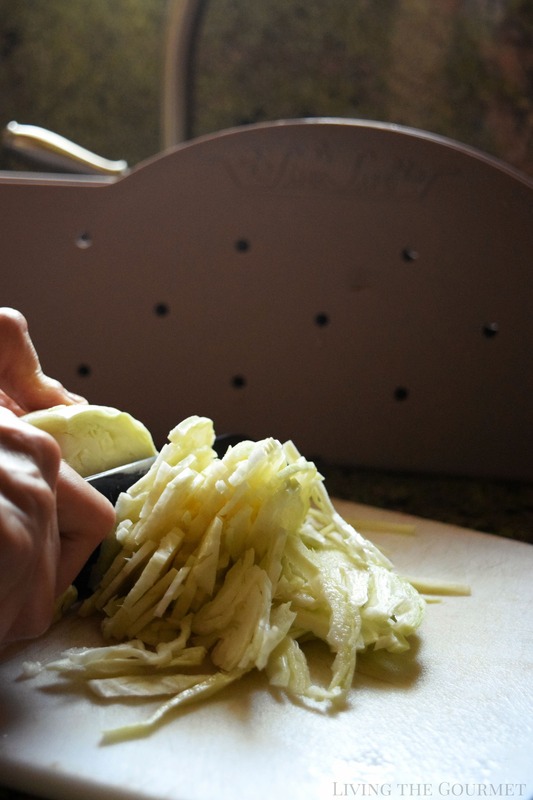 To demonstrate, let’s do some knife intensive work – Homemade Coleslaw. To begin, slice up a whole head of cabbage as thinly as you can manage. For reference, see the images below. Then, slice a red onion, again as thinly as you can manage. After that’s done, deseed and then chop up a jalapeno. 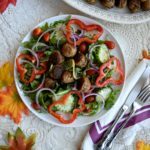 From there, remove the stems from a bunch of Italian parsley, and chop that up finely. 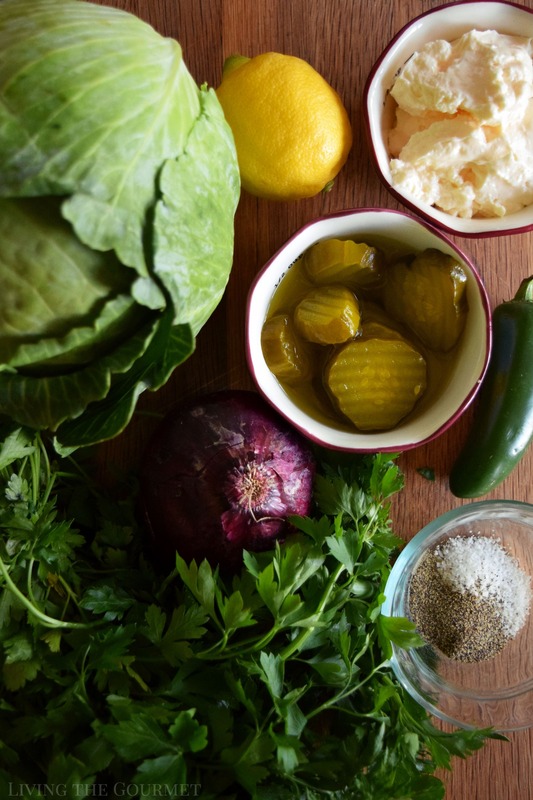 Then, chop up about four ounces of sweet pickles. 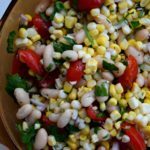 Place all of those ingredients in a bowl and set it aside. 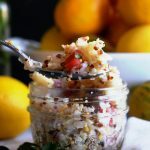 For the dressing, simply combine about a half cup of the sweet pickle juice, the juice of half of a fresh lemon, a tablespoon of sugar, one tablespoon of salt, a tablespoon of black pepper, and between one-quarter to one-half of a cup of mayo depending on preference, and whisk this together thoroughly until fully combined. 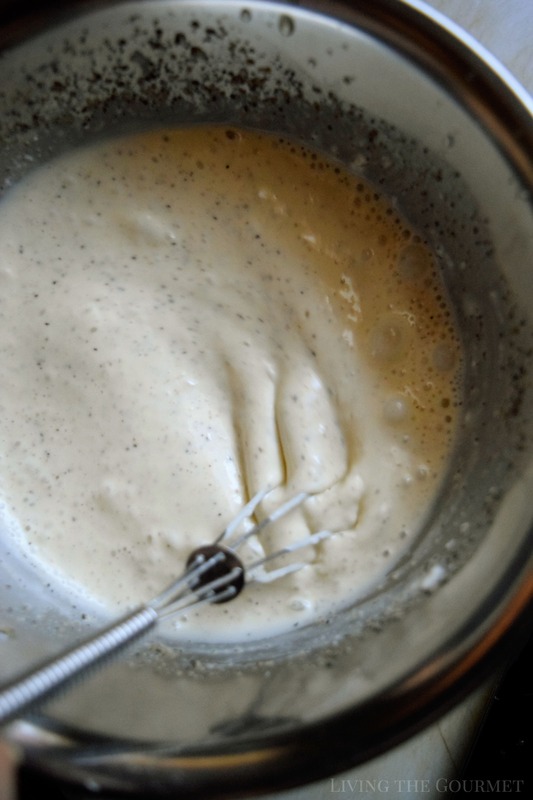 Then pour the dressing over the coleslaw, toss, and refrigerate until ready to use. Place all of the sliced and chopped vegetables in a bowl and toss. 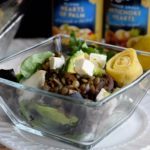 Combine all of the ingredients for the dressing and whisk. Pour the dressing over the coleslaw and toss until completely incorporated. Now, while preparing this, I simply tossed my knife into the Sink Safe, safely away from the other tools and bowls used in the prep, and just like that, I’m wondering why a kitchen item like this wasn’t a part of my toolset much, much earlier. To order your own Sink Safe visit Sinksafe.com. 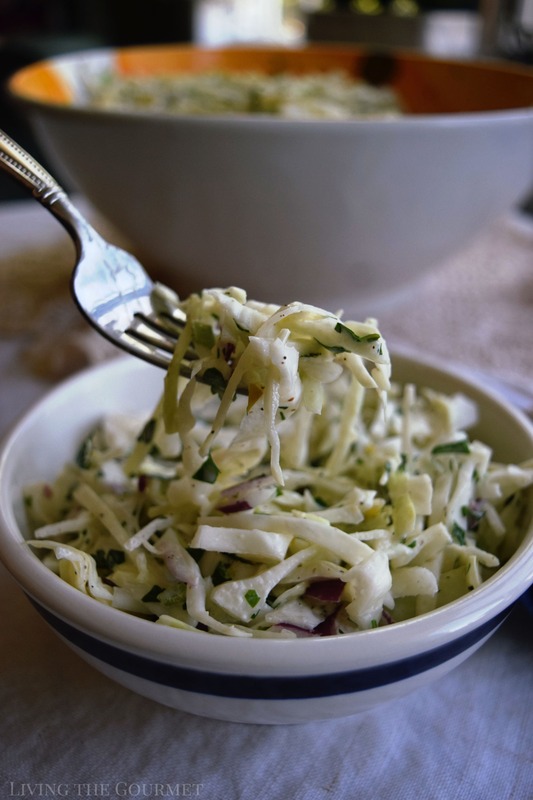 I adore a good coleslaw and this one looks crunchy and delicious! 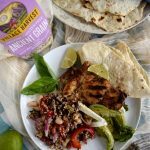 I've never met a coleslaw I didn't like---and your version looks incredible! !